Five years ago August was ranked the 5th strongest month in the year, but it has now slipped to 8th position. 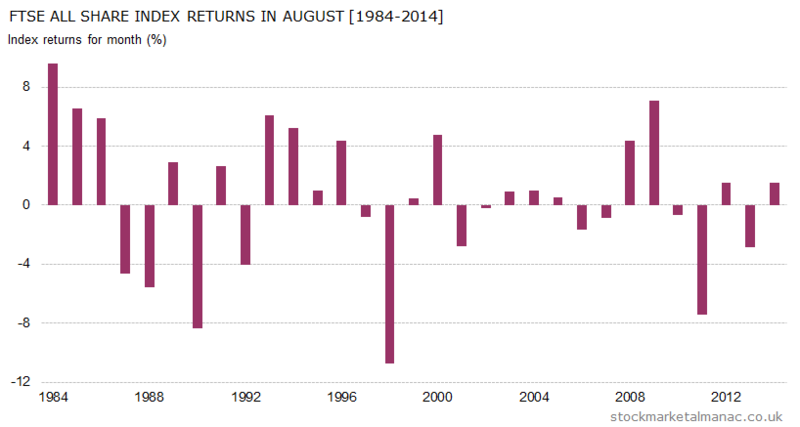 The average return in the month is 0.5%, while the probability of a positive return in August is 57%. As can be seen in the accompanying chart, there have been some nasty surprises in August – notably with large falls of over 7% in 1998 and 2011. Last year the market rose 1.5% in August. 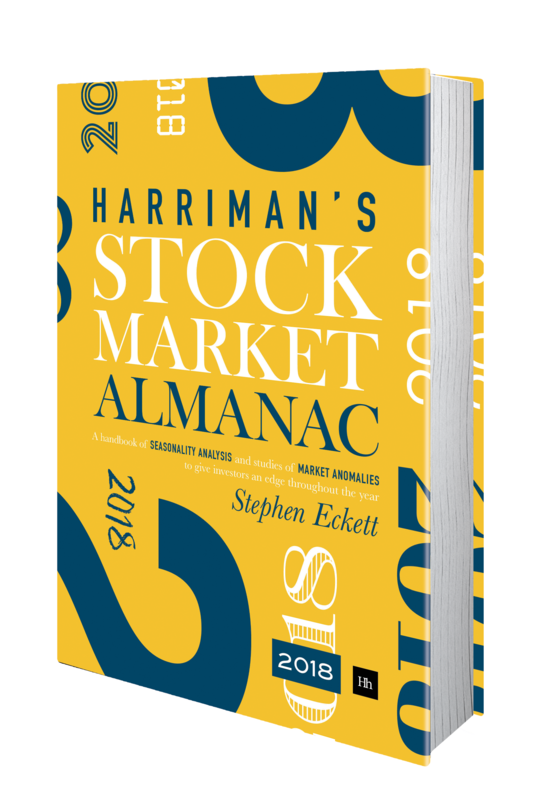 Generally the volatility of stock returns for August is around the median for all months – certainly significantly below the high-volatility months of January, September and October. Internationally, August is not a good month for equities; August has the second lowest average monthly returns for 70 world equity markets. In domestic currency terms, August is the strongest month of the year for the FTSE 100 relative to the S&P 500, but after factoring in (the historically weak) GBPUSD rate much of that out-performance disappears. At the stock level, the five strongest FTSE 350 companies in August have recently been Fisher (James) & Sons [FSJ], Melrose Industries [MRO], Tullett Prebon [TLPR], Keller Group [KLR], and Bunzl [BNZL]. Fisher (James) is the only FTSE 350 company whose shares have risen every August in the past ten years; the other four shares have all risen in nine of the past ten years in August. Three weak August stocks are Xaar [XAR], Rio Tinto [RIO], and Standard Chartered [STAN], all of which have fallen in August in nine of the past ten years. Significant dates this month are: the MPC interest rate announcement on the 6th, US Nonfarm payroll report on the 7th, the MSCI quarterly index review announcement on the 13th, and the LSE is closed on the 31st (Summer bank Holiday).